When a teammate goes down, another must step up. Southgate Anderson senior guard Juwan Graham fulfilled that statement against Downriver League rival Melvindale. When fellow senior DeJon Matthews left the game early in the second quarter with an apparent leg injury, Graham led the Titans with a game high 20 points. Graham a 5’7″ combo guard, scored 14 points in the first half, and nine in the second quarter to give Anderson a nine point advantage heading into the locker room. Defense played an important role in Anderson’s victory as well. Whether Melvindale was off, or Anderson’s defensive strategies were stellar, the Cardinals only managed to score 15 total first half points. 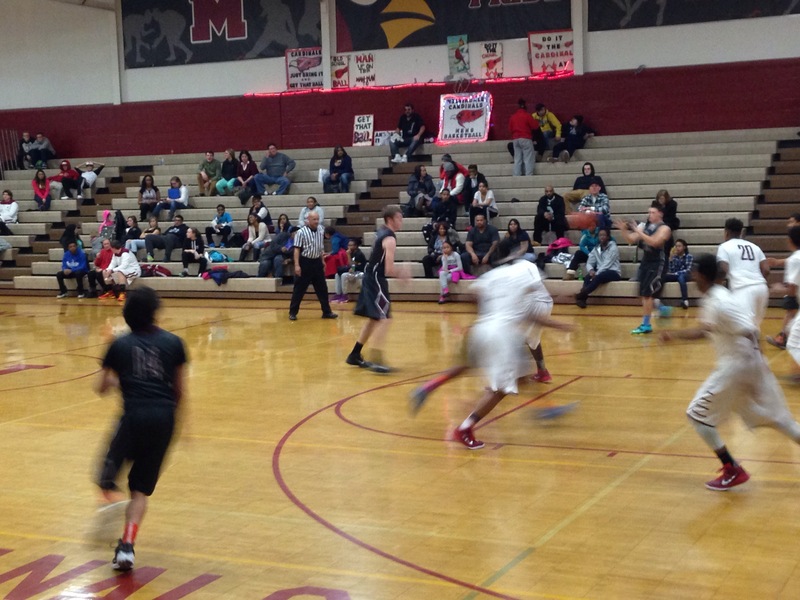 Melvindale stud sophomore Koby Boyton scored a team high 15 points, on 5-19 shooting from the floor. Graham would handle a facilitator role in the second half. Melvindale attempted to force other Titan’s to beat them, and for Anderson, the team did not revolve around Juwan. Senior guard Trey Harris added four and forward Joe Galetto scored six in the second half for Anderson to lead at times by 19 points. The closest Melvindale would shrink the defecit to was 14 points, but Graham added four free-throws in the fourth quarter to seal any hopes of a Cardinal comeback. The win for Anderson positions themselves into third place in the Downriver League with a record of 5-3 in conference play, only 1.5 out of first. Next week will be crucial if the Titans wish to capture the conference crown, with games against fourth place Carlson and first place Taylor Kennedy. Graham is opportunistic about where his team is at and headed. “My team and our coach feel this could be our year for a league title,” Graham added.